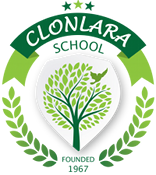 As many of you may know, my mother, Pat Montgomery, founded Clonlara School. She envisioned a place where kids could learn in an environment that allowed them to make their own choices and pursue their curiosity and creativity. Clonlara’s Campus Program still provides such a model, in which students choose their topics of study and how they will pursue them. Our Off-Campus Program extends such freedom of choice to our students around the world. I grew up surrounded by this freedom and by those who sought to foster it in children. In their discussions at the time, words such as “mandatory” and “structure” were taboo. Indeed, studies of self-motivation have shown that control and coercion do negatively affect the learning process, but I take issue with the idea that structure is bad. The fact that structure exists is not a problem; it can be the way it is applied that causes problems. For example, the structure that sets the traditional school schedule can be reassuring. Parents know what their children are doing at each hour as they work, and students know what to expect in their daily routine. However, such a rigid and repetitive schedule may become boring and hamper both the student’s creativity and ability to make their own choices. That is why Clonlara has always focused on recognizing and supporting each individual student’s interests, needs, and goals. Our school provides a foundation for balancing freedom and structure. As is the case on our campus today, my Clonlara peers and I had no bells, no formal classes, and no tests. We could go outside when we pleased and vote for or against field trip choices. We chose what topics we would delve into and were free to walk away from others. With this freedom, I learned about responsibility and accountability. I learned that my success rested on my own shoulders. Additionally, I learned the consequences of not finishing a project, and those of not being prepared. I learned to deal with the consequences, too. Clonlara’s Full-Circle Learning Model is a form of structure, but wide freedom of choice lies within it. It provides the components that lead to a rich and deep learning experience but does not prescribe the academic subject matter nor the way in which students approach it. It allows non-linear thinkers to pick and choose how they approach their learning, and it provides a step-by-step process for those who like consistency and thrive on routine. I like to think that Clonlara provides the best kind of structure—that is, a framework or “infrastructure” on which to learn and grow. We do our utmost to provide guidance, advice, and feedback; then we get out of the way of the student so they can learn in the way that works best for them. So, whether you’re a by-the-book type or a free-range learner, give some thought to where structure lies in your life, and whether you are grasping it too tightly or perhaps not utilizing it enough.